The ultimate beauty oil! 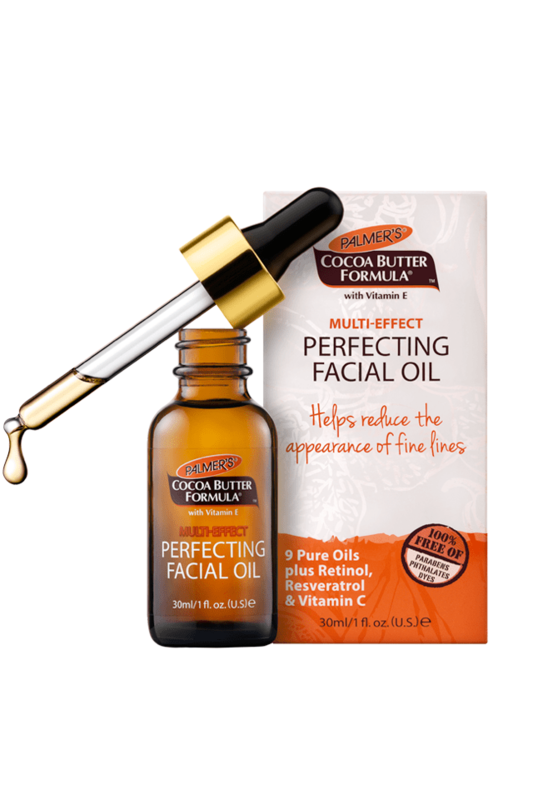 Palmer's Multi-Effect Perfecting Facial Oil is a unique blend of 9 anti-aging oils, each included for their superior properties to keep skin healthy, firm and glowing. With the added benefits of Retinol (Vitamin A), it reduces the appearance of wrinkles and helps banish pigmentation while smoothing skin to help it look younger. 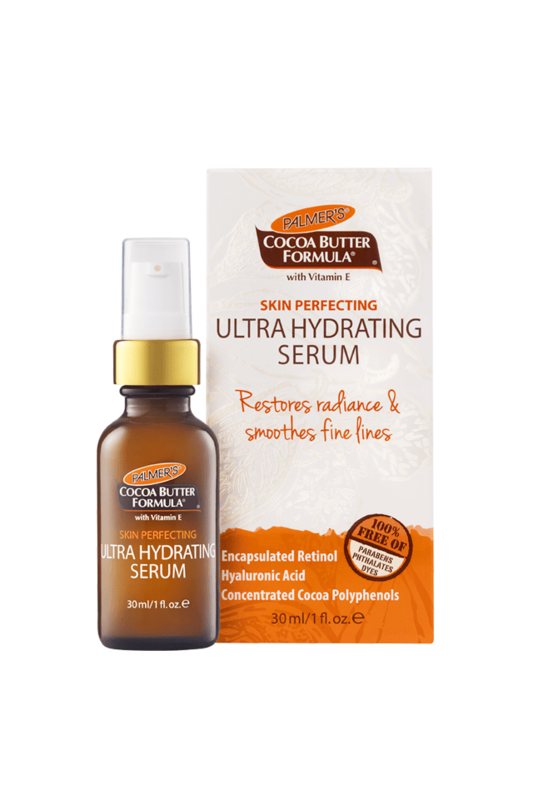 A superior blend of Argan Oil, Macadamia Nut Oil, Maracuja Oil, Apricot Oil, Sunflower Seed Oil, Coconut Oil, Sweet Almond Oil, Grapeseed Oil, Sesame Oil & Vitamin E.
NEW Palmer's Multi-Effect Perfecting Facial Oil has been voted Product of the Year 2015. Anti ageing skincare category, survey of 15,050 people by Nielsen. Retinol - An excellent antioxidant which protects skin against free radical damage which can cause premature ageing. Vitamin A encourages cell turnover, refining skins’ texture and encouraging skin cells to perform as youthful, healthy cells. Recommened for use at night before bed. 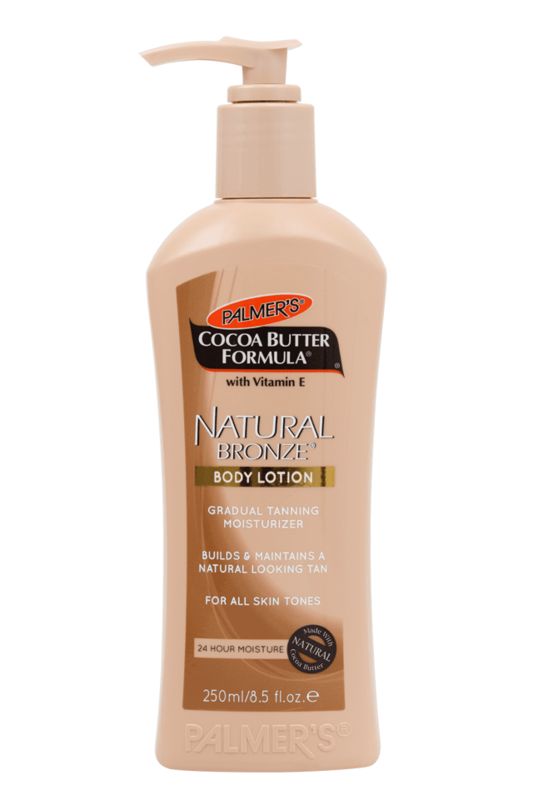 Top up with Palmer's Moisture Rich Night Cream for an extra anti-ageing treatment. Always use a sunscreen with products containing Retinol.